United Airlines is transferring its ‘p.s.’ transcontinental Premium Service from New York JFK to its New York-area hub at Newark Liberty International Airport in October. The p.s. transcontinental service transfer means United Airlines will cease operations at New York JFK on October 25. As a result of the move, United has provisionally agreed two separate airport-slot deals with Delta Air Lines, which if approved would essentially represent a slot-swap between the two carriers. Delta plans to acquire United’s slots at New York JFK and United plans to acquire slots from Delta at Newark Liberty International Airport. Each transaction is subject to regulatory approval. 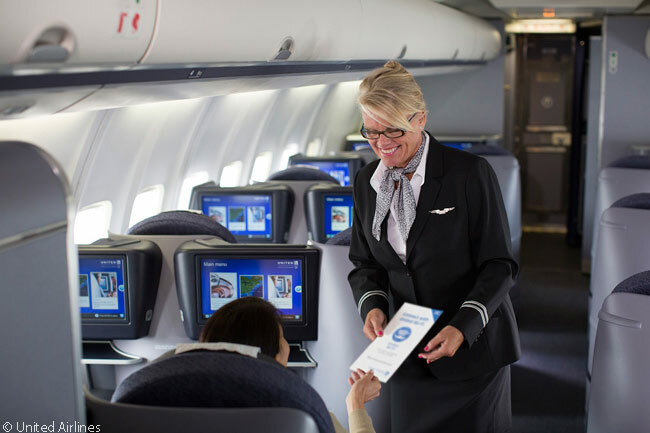 From October 25, all of United Airlines’ Newark-Los Angeles and Newark-San Francisco flights will offer flat-bed seats in the United BusinessFirst cabin; premium in-flight service; more extra-legroom Economy Plus seats; and in-flight Wi-Fi and personal on-demand entertainment with individual seatback monitors and power ports for customers in every row. 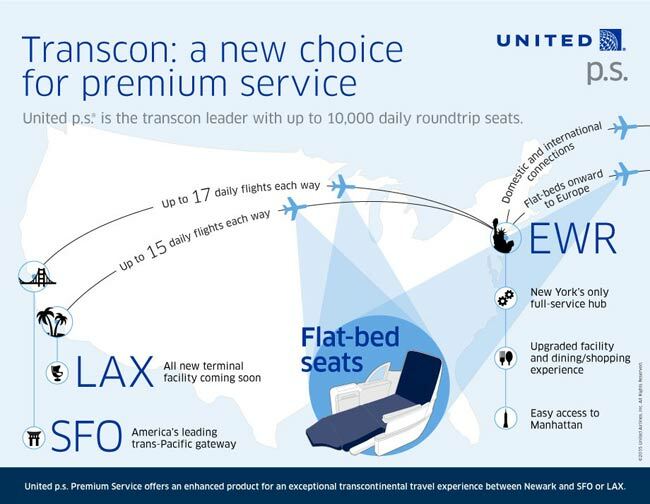 United will offer more than 1,250 flat-bed seats each day on its p.s. transcontinental services and a 44 per cent increase in flat-bed seats year-over-year. The airline will fly up to 17 daily round-trips on the Newark-San Francisco route and up to 15 daily round-trips on the Newark-Los Angeles route, offering a total of up to 10,000 round-trip seats per day on the two transcontinental routes. In launching its p.s. service at Newark Liberty International Airport, United will re-deploy to U.S. domestic p.s. service several Boeing 757-200s it currently operates on transatlantic routes. To compensate for its withdrawal of 757 capacity from transatlantic markets, United will increase the number of Boeing 767s it operates on transatlantic flights. The widebody 767s offer larger United BusinessFirst cabins than do the airline’s 757s and, on many flights, its 767s also offer United Global First service. 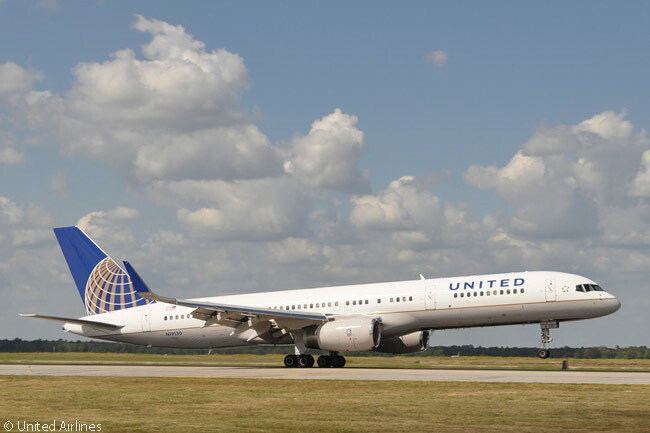 United has already announced plans to introduce widebody 767 service on round-trip services linking Newark Liberty International Airport with Barcelona, Madrid, Berlin and Hamburg.